Williams Sign Company was formed by Doyle and Freddie Williams back in 1972 in the small garage that they owned. “Consistent quality backed by reliable services” as a company mantra. This helped them set up a loyal signage customer base among the roofing and remodeling contractors of the Fort Worth. 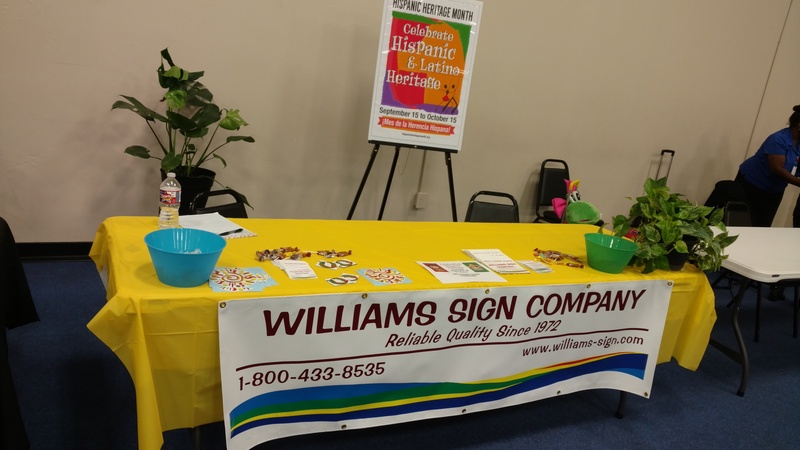 Business at the Company soon grew as these contractors traveled to other areas of the country for their projects and referred William Signs to others. The solid authority of the word-of-mouth references had more customers asking for services. Very soon, the Williams’ had their business moving to a recognized office building. Rex and Judy devoted themselves to offer superior signage services in Fort Worth. Soon sales rose phenomenally with the company dominating the market. Impeccable customer service, quality product, and fast turn-around helped expand the customer base. Signage deliveries now included customers from Arizona to the Carolinas and Florida to Denver. The extraordinary growth of the sign company flourished with referrals from happy customers to potential newer ones. Rex and Judy finally planned an enjoyable retirement camping and spending time with family and friends. Selling the business in 2017 to Mark Settlemire, who has pledged to sustain the reliability, quality and customer service set by his predecessors. Mark continues the work with fervor and plans to foray in areas yet to be covered keeping in mind the demands of the present day signage industry. The company also handles nationwide shipping along with catering to the Dallas market. This team is ready to meet your needs of high-quality posters, prints, photographs, banners, apparel, magnets and window graphics among others. With a proud legacy behind us, we surge ahead to continue to create indelible history. We are proud to trace our 5 decades of successful business history in the digital signage industry of Fort Worth.